Hi! Ik ben José! 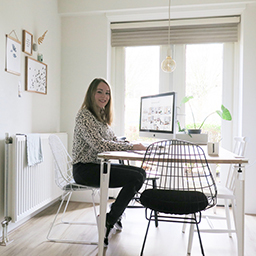 Op thatfridayfeeling.nl deel ik inspiratie en verhalen over interieur, styling, fotografie en lifestyle. Visit José Russchen's profile on Pinterest. All the pictures are made by THAT FRIDAY FEELING unless stated otherwise. Using photo's from THAT FRIDAY FEELING is no problem, but make sure there is a visibile link back to this blog. Thank you!